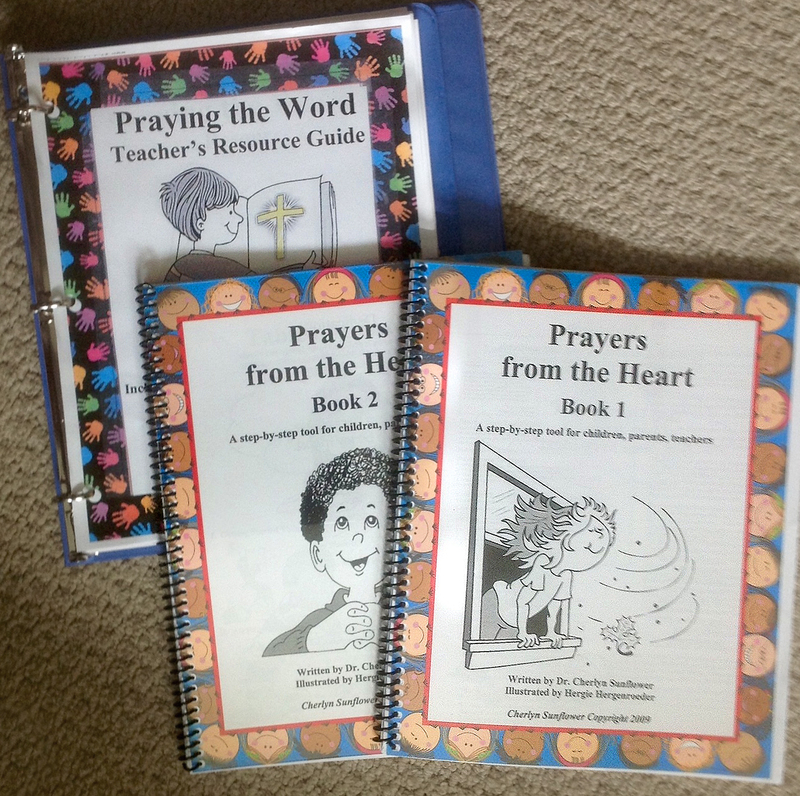 The two spiral bound copies of the Books 1 & 2 and the 3 hole punch Teacher’s Resource: The advantage of this printed form is that it is better for parents who are already involved in teaching their children to pray because of the added details. You will be charged for the envelope and postage. $3.99. The books are free.